In these new clips, you'll see legendary fashion icon Bob Mackie discuss his role in the amazing costumes on The Carol Burnett Show. Taken from the bonus feature 'Gags and Gowns: The Genius of Bob Mackie' the first clip gives a glimpse inside the mind of Mackie himself, while the two clips from 'Went with the Wind' showcase some of his most outrageous work on the show. "We could be glamorous one moment, horrible the next. It was just crazy!" - Bob Mackie on his role as lead costume designer for the Carol Burnett Show. In these new clips, you'll see legendary fashion icon Bob Mackie discuss his role in the amazing costumes on The Carol Burnett Show. Taken from the bonus feature "Gags and Gowns: The Genius of Bob Mackie" the first clip gives a glimpse inside the mind of Mackie himself, while the two clips from "Went with the Wind" showcase some of his most outrageous work on the show. 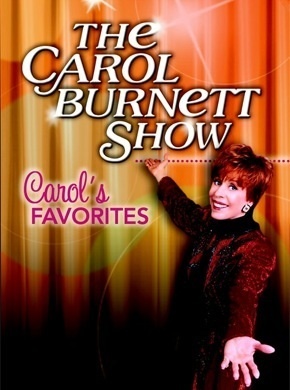 Fans and collectors can pre-order the DVD release of The Carol Burnett Show: The Ultimate Collection today! The DVD is available for preorder on WWW.CAROLONDVD.COM. The Carol Burnett Show: The Ultimate Collection - "Gags & Gowns: The Genius of Bob Mackie"
The Carol Burnett Show: The Ultimate Collection - "Went with the Wind - Part 1"
The Carol Burnett Show: The Ultimate Collection - "Went with the Wind - Part 2"
The Carol Burnett Show: The Ultimate Collection - "Q&A - Part 2"
The Carol Burnett Show: The Ultimate Collection - "The Family"
The Carol Burnett Show: The Ultimate Collection - "Web Trailer"